In Nova Scotia in 1977, an aspiring librarian strives to get to the bottom of a decades-old murder in this wry foray into noir by National Book Award-finalist Norman. a witty, engrossing homage to noir ... The topic of his all-important library science paper—ghosts in libraries—mirrors the underlying plot of My Darling Detective: in the journey to adulthood, we are sometimes given the opportunity to explore the ghosts of our physical and psychological past. Jacob Rigolet is a unique, unforgettable man who successfully navigates the shoals of his unexpected past. ...[an] ingeniously plotted novel ... The signature elements of Howard Norman’s fiction are everywhere in this book. Like his previous novels, it’s set in Canada’s Maritime Provinces and toys with his trademark preoccupations: libraries, photography, radio, poetry. But despite its noir trappings, My Darling Detective isn’t as dark as some of his others ... There’s obviously a more playful hand at work. Norman knows how to weave an enticing and satisfying mystery, one tantalizing thread at a time. And he left me wanting more of Jake and Martha. Norman works with an offhand ease and grace that makes the unlikely and at times bizarre events in this novel seem more plausible than they should be. (No fewer than two children are born in the Halifax Free Library during the course of this book.) The whimsy is balanced by moments of powerfully evoked realism ... 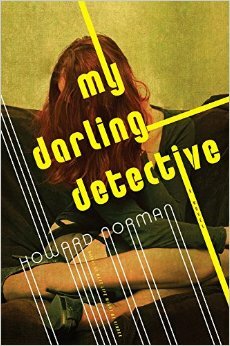 Though My Darling Detective plays with the conventions of the noir, those conventions do not always fit comfortably in Norman’s novel. The book is too intellectually restless and self-aware to fully conform to the demands of the genre. Norman is less interested in generating page-turning suspense than he is in investigating and re-creating the comfort, longing and nostalgia that detective fiction provides for its consumers ... Despite its flaws, My Darling Detective gives us plenty of reasons to be hopeful. What did you think of My Darling Detective?